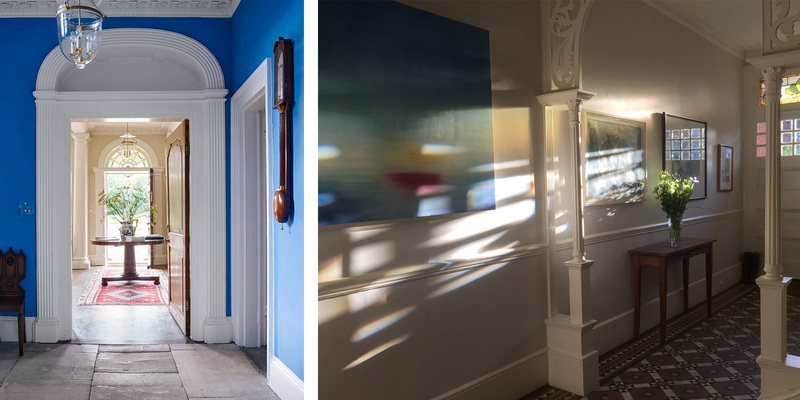 I thought it was about time I spoke about interiors on my blog, starting with how to make an entrance and then working my way through the home with tips and ideas taken from our interior designs and interiors I love that tell a story. I am passionate about living well and creating beautiful homes that simply function better, taking you effortlessly from breakfast to supper. I hope this blog will inspire you to create a home that reflects you and your ideas. First impressions count, so don’t let it become a dumping ground for coats and shoes. Spend time thinking about what storage solutions will work best for you to help hide the unsightly everyday items. 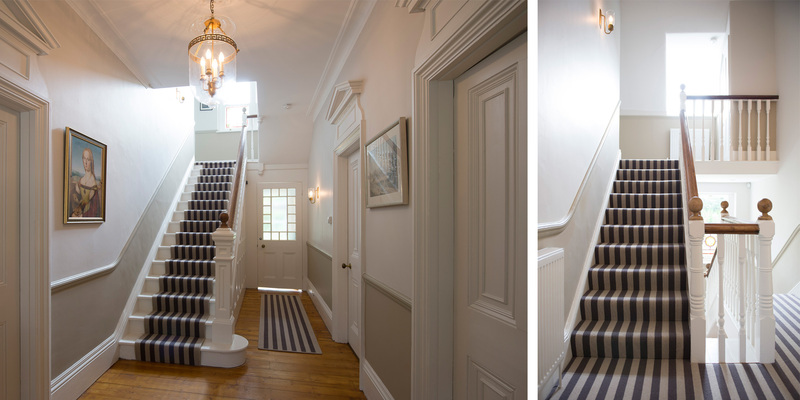 Create a strong statement with bold carpets, lighting and making the most of architectural features. Layer up on lighting. Practical task lighting is required to help you enter and leave but have fun and create drama with statement decorative lighting such as oversized pendants and wall lighting. Give thought about how you configure your light switching so you can easily light your way through the house top and bottom and pay attention of the electrical plates throughout the home as these little details make all the difference. Look at interesting metals such as satin nickel, antique brass or black. When decorating you should complete this room last, however you should start thinking about this space first so you have a consistent thread running throughout your home such as a palette of colours that tonally work together, making your home feel more spacious and architectural. All rooms filter off the hallway and landing so the colour palette in this space needs to tie the interiors together and create a look that’s coherent. Think about how the wall colours, flooring finishes, and materials meet. Remember as you move through the house the natural light will influence the paint colour so make sure to test the paint colour in different areas around your home, give some thought on the natural light source and the direction the interior faces. Interior accessories will lift and bring character to the entrance. When you have taken care of the storage solutions for the everyday items in your entrance hall you have more space for the exciting elements that bring character to the space. 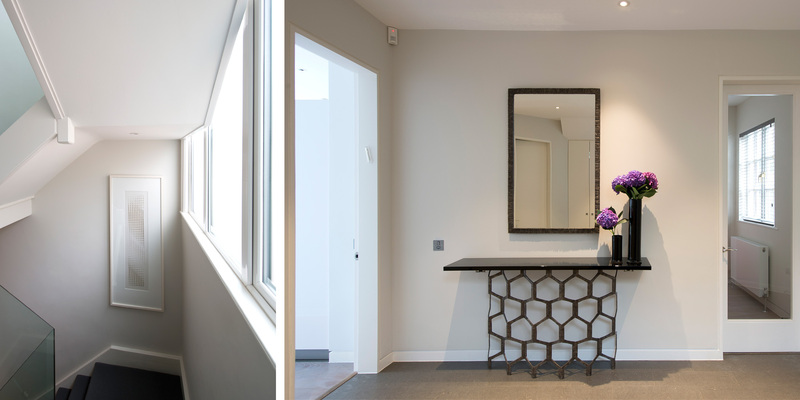 A statement chair or an oversized mirror will help reflect natural light if your hallway is a little dark. 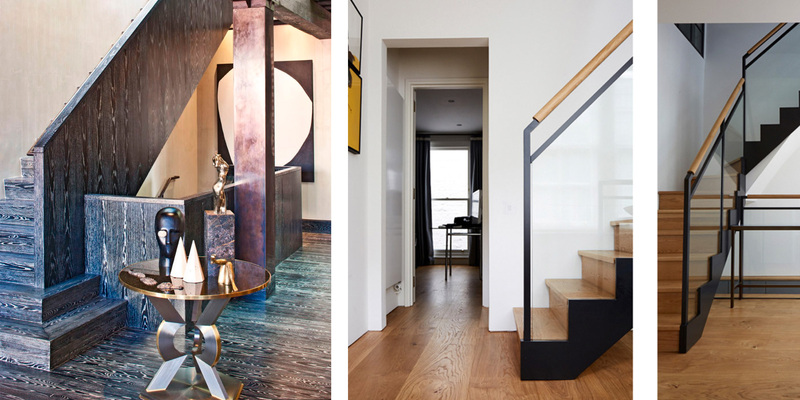 Again, preplanning at the beginning allows you to configure lighting and sockets to allow you to emphasis artwork or sculptural pieces that make your house a home from the second you enter. This entry was posted in Uncategorised by n1kkir33s. Bookmark the permalink.